In which I try to come to terms with the fact that I didn’t attempt to buy Every Star Wars Set Ever, despite a childhood obsession, and come to realise that reissues of sets are useful as elements and building pieces evolve. LET ME TELL YOU A STORY. If you have read any of my posts about the 20th Anniversary of LEGO® Star Wars, it would become apparent that Star Wars played an important role in my childhood. There was something enchanting, in a fairy tale sort of way, about the way in which the characters moved through the story. I read the novel (Ghost written by Alan Dean Foster) several times before I turned 10. I had a couple of action figures. Some follow me today. My brother and I saved up lots and lots of pocket money, to be able to afford the Kenner’s Landspeeder, with amazing floating action, when it finally became available at our local toy shop in 1978. I had a book mark left in a friend’s copy of ‘Splinter of the Mind’s Eye’, and when our family went to visit theirs, I would read another twenty of so pages. 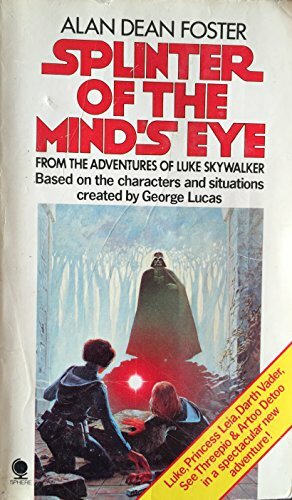 In 1983 I finally finished reading it. I have not been so excited about seeing a software upgrade delivered as I have been this weekend. The LEGO Powered Up app has just been given a substantial bump up in its functionality. Long time readers of the blog will know how I feel about LEGO Boost: a great set, and a simple way to automate any models that you might make. Since it was released 18 months ago, we have seen all sorts of creations, as well as ideas through the primary models in the set. But there are a few challenges: you need to work through the models to gain all functionality; and the hub itself is a little bulky for some applications, but certainly adds a lot of fun to some sets. In some ways, I see it as the natural successor to the early motor kits, used in the 60’s and 70’s to automate wheels models, and see them propelled under there own power. Unfortunately, despite sharing a plug system, it has not been compatible with other similarly plugged devices…until now. Since the LEGO House first opened in 2017, there have been a number of exclusive sets available for purchase: the LEGO House Architecture set -21037 and the Tree of Creativity 4000026. Today, it was announced that there will be another set available later in the month: 40366 LEGO® House Dinosaurs. Based on the massive sculptures that greet visitors entering the Masterpiece gallery, this set condenses the massive 2.92m tall dinosaurs into approximately 800 elements. Scaling down from 600,000. These dinosaur sculptures were reveal almost 2 years ago, and recently, the eggs at their bases have started to hatch. Could this be what’s inside? In which it becomes apparent that the LEGO group are celebrating the 20th Anniversary of LEGO Star Wars. With some of their Archive material, as well as some of my own, from a simlar era, we look at the Early Days of the Star Wars print ads. LET ME TELL YOU A STORY. Forty two years ago – a Long, Long time ago, in a galaxy not so far away… Star Wars was released on an unsuspecting world. Fan based consumerism would never be the same again.